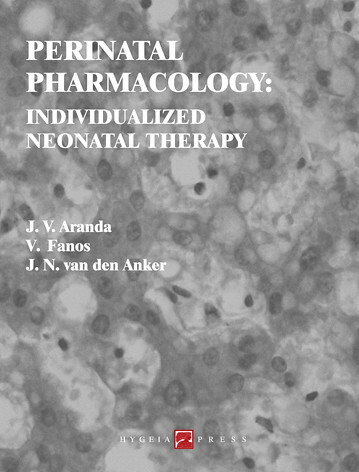 You can buy “Perinatal Pharmacology: Individualized Neonatal Therapy” on many Italian online bookstores, in particular on Amazon, IBS and Goodbook. Order this book on IBS! IBS provides international delivery, you can read the delivery rates here: IBS delivery rates. Order this book on Goodbook! This book is also available in the bookshops listed on the page “HOW TO ORDER – COME ORDINARE“. For more information about this book, please send us an email at: hygeiapress@hygeiapress.com. The origin of this book lies on the awareness that we have to do more for identifying unmet needs and improving a tailor-made treatment for each newborn. After a large introduction on developmental pharmacology, this book analyses in detail new advances on antibiotics (aminoglycosides), antifungals, antivirals (CMV, RSV, HIV), analgosedatives, steroids, caffeine, and cardiovascular drugs. An updated pharmacologic treatment of respiratory diseases (respiratory distress syndrome, meconium aspiration syndrome, chronic lung disease, persistent pulmonary hypertension) is presented, as well as for persistent patent ductus arteriosus and retinopathy of prematurity. Finally, neuroprotection is considered, with special emphasis on antioxidants and melatonin. A special part is devoted to drug-induced renal toxicity and liver toxicity and completes the volume, also quoting the so-called ‘-omics‘ sciences such as genomics and metabolomics. The topics are covered by international experts in the field and the subtle red line that links all the chapters together is the perspective of individualized treatments to reach our ultimate goal: the right therapy for each newborn without any side effects. 4. Excipients in neonatal drug formulations: friend and foe? 6. Clinical pharmacology of analgosedatives in neonates: between the hammer and the anvil? 10. Pharmacological treatment of patent ductus arteriosus: the last days of indomethacin? 13. Meconium aspiration syndrome: do we know the treatment? You can also view the book’s table of contents at this link. You can download a book flyer here.